Riteway-Thermal & Fire has years of experience in the supply & installation of spray foam insulation to industrial, commercial, and residential buildings in Western Canada. Our process ensures that a versatile, safe, & effective building envelope is created to meet code requirements needed by architects, contractors, & building owners. Spray foam insulation is an adhesive product sprayed foam that is used instead of traditional applications, such as batt, loose fill, or rigid styrofoam. It can be used in tight spaces like rim joist spaces, attics, crawl spaces as well as in walls. The application of spray foam insulation and the versatility of the products makes it possible to insulate projects that cannot otherwise be well insulated. Foam insulation, when applied professionally, is safe, energy and cost efficient, and environmentally friendly insulation. R-value or thermal barrier is used to describe the ability of insulation to resist the penetration of cold and and resist heat flow. That means that the higher the R-value the better the thermal barrier performs and the higher the material heat retention is. Conventional forms of insulation lose their R Value at the 5-year mark, while Spray Foam Insulation’s “Long Term Thermal Resistance” (LTTR) will retain its R-value 5, 10 and even 20 years after installation. 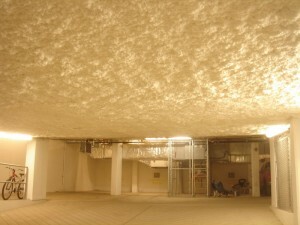 Spray foam insulation has gained increasing popularity over the years for the myriad benefits it provides. Due to its spray-applied nature, the foam fills up tiny cavities and small holes that ensures the stability of a building envelope. As it is synthetic, it will also not attract rodents and other small insects. Another reason why spray foam insulation is popular for commercial construction projects is its high performance in terms of energy efficiencyand longevity of performance. Its high R-value makes it resistant to heat loss. Hence, a structure can maintain a pleasant temperature throughout the seasons with minimal heat loss; which indicates high energy efficiency. So whether you are insulating a new construction project, or renovating an existing home, spray foam insulation can provide the energy savings and the long lasting benefits you are looking for.